I do have to say that in real life they’re not as pretty as the ones in the stock photo above. They don’t usually rise as high. But they still taste good! I eat two of them for breakfast with some herb tea sweetened with stevia and collagen added for protein. These are deliciously moist! They're great for breakfast or a snack. Spray muffin tins with non-stick coconut oil cooking spray (or line with paper muffin cups). Set aside. (I've found these turn out the nicest when I spray silicone baking cups with coconut oil spray. The muffins tend to stick to the paper muffin cups. But they easily slide out of the silicone baking cups. Add oats to blender and blend until you've made oat flour. 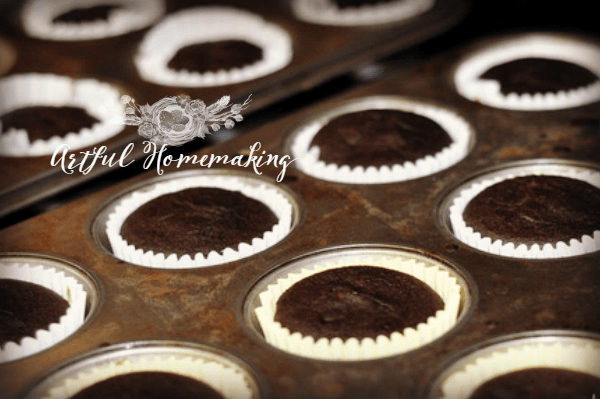 Scoop/pour batter into prepared muffin tins. Fill each muffin well about 3/4 full. Place muffin tins into oven and bake for 18-20 minutes, or until a toothpick comes out clean. Allow muffins to cool before removing from pan. Makes about 21 regular-sized muffins (depending on how full you fill each muffin well). I use Super Sweet Blend for the sweetener in this recipe. If you need some, you can find Super Sweet Blend here. Or, you can use another stevia/erythritol blend, or whatever you prefer. This post contains my affiliate link. Read my full disclosure here. Sharing here. These are very tasty muffins, however, my batch did not rise very well. I wonder why? All of my ingredients are fresh. So glad you enjoyed them, Jill! Mine never rise very high either. They’re a different sort of texture than muffins made with flour. This is my standard go-to recipe for E muffins! Thank you! I made a few adaptations to the recipe to make it dairy free. I sub the Greek yogurt with more applesauce, then I add collagen to up the protein, and some glucomanan to help avoid the crumbling. I also use oat flour and skip the blending stage. I’ve even been known to make an “icing” to serve with them for breakfast – gentle sweet, cocoa powder, collagen (helps it thicken), a few drops of dairy free milk, and a drop of vanilla. So glad you like them, Amanda! And thank you so much for sharing your adaptations! These look delicious! Thanks for sharing at Party in Your PJs! I agree, anything chocolate is a hit here! SO good! The texture makes me think of cake more than muffins though! Which is totally not a bad thing 😉 For more protein, I added half of a scoop of protein powder, which also happens to be sweetened with stevia so I think it helped to sweeten them more. I was wondering though, what would the THM serving size on these be? Because I just ate four. These are absolutely delicious! I added sugar free chocolate chips, and used 3/4C Greek yogurt instead of any apolesauce, and they turned out so yummy! THanks for the recipe! Yay! I’m so glad you liked them, Betsy! And thank you so much for sharing the changes you made to the recipe—I’ll have to try that next time! 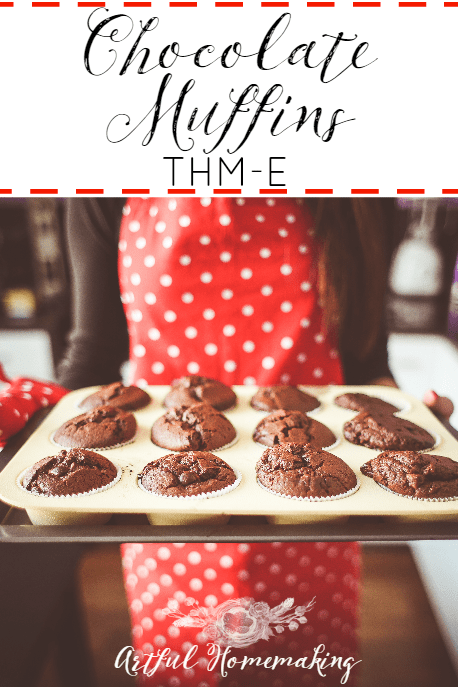 I just made these THM-E chocolate muffins. They don’t really seem like a muffin. Can anyone think of a reason why the tops would be rather rubbery? The inside texture is good, although the chocolate flavor is not strong nor is the muffin very sweet. It cries out for some yummy chocolate fatty icing!! 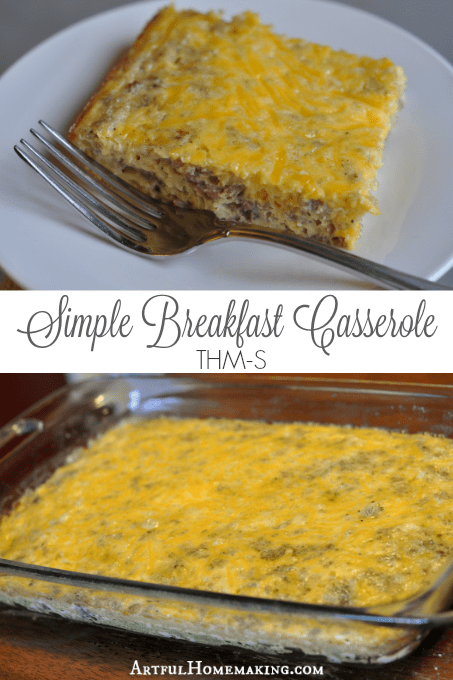 The texture is different than muffins made with wheat or white flour. I’ve noticed sometimes that applesauce can give baked goods a rubbery texture. And, yes, they’re not very sweet. Our family is used to eating low-sugar/no-sugar foods, so they feel like a treat to us. 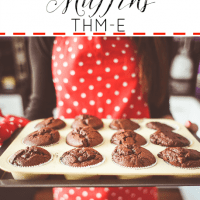 🙂 There are a couple of yummy chocolate fatty icing recipes in the THM Cookbook, but if you add fat to these then they wouldn’t be an “E” anymore. But, if you’re not doing THM or you need a Crossover, that would work! Or, there might be an “E” icing recipe out there somewhere too that would be good on these. I am new to THM. Thank you so much for your response. I appreciate your willingness to share recipes. It is a bit of a challenge learning to use the various on-plan sweetners as well as all the “flours”. Old habits die hard! Again, thank you. You’re welcome, Shirley! I know what you mean about old habits. I still crave fresh, homemade bread, cinnamon rolls, frosting, and other foods I now avoid. 🙂 It does get easier, though. 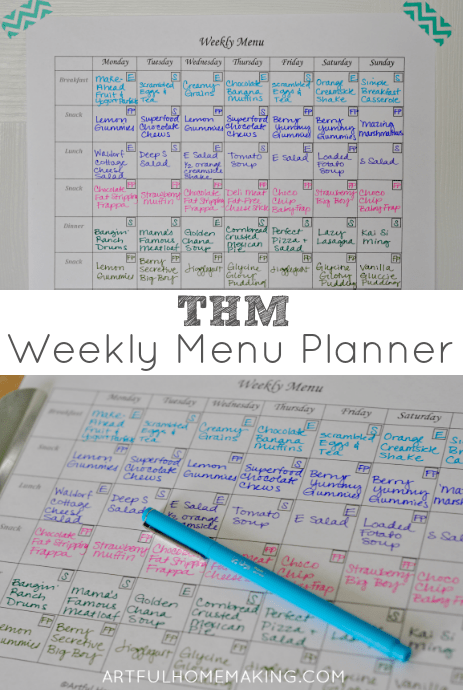 Best wishes to you on your THM journey! Do you know the fat, carbs and protein in these? I don’t. I’ve heard there are calculators online that will figure that out for specific recipes, but I’ve never tried one before. Is it possible to use kiefer instead of greek yogurt…that’s all I have on hand at the moment. Just curious. Thanks! I’ve never tried that, Steph, so I can’t say for sure. Greek yogurt is quite a bit thicker than kefir and it’s also higher in protein, so I’m not sure what the result would be. If you decide to try it let me know how it turns out! These were incredible!! I could not believe the wonderful fluffy texture! I used gentle sweet and did a little more than 3/4 cup. They were only lightly sweet with that amount so I sprinkled with some granulated xylitol! Amazing! I was a little nervous at the science experiment (I.e. The bubbling and fizzing when I added the vinegar) but it sure seemed to help them rise well! Thanks for sharing! What purpose is the vinegar? Can I leave it out? Just wondering bc I don’t have any currently. Vinegar is common in eggless recipes, and it’s sort of a substitute for the whole eggs (since this recipe only includes the whites). The vinegar also reacts with the baking soda and helps the muffins to rise better. I’ve read that you might be able to substitute lemon juice for the vinegar, but I haven’t tried it myself. Hope that helps! These look so yummy! I already have oat flour made…do you know how much flour is made from 1 3/4 cups of oats? Hope you enjoy them, Felicia! I’m sorry, but I’m not sure about the oat flour—I’ve only made this by using whole oats ground to flour in the blender. Have you ever added Whey Protein Powder or Collagen to the muffin mix to up the protein content in the muffins themselves? No, I’ve never tried that. If you try it, let me know how it turns out! These look great! There is enough protein in these to be stand alone? Thanks, Teresa! I don’t know what the exact protein count is. I usually eat two for breakfast with a very small pat of butter on each one. And I include a cup of collagen tea with them, which increases the amount of protein. (Collagen tea is in the newest cookbook—it’s just a cup of tea with collagen stirred into it.) Hope that helps! U was out of applesauce, so used a mashed banana. The texture was a little different–more cake-like. And a bit sweeter. And still yummy!!! Side note: I know I haven’t visited here in awhile but I came here this morning – curious how you’re doing with Plexus. It was SO ENCOURAGING to read all your testimony and view your pages, regarding. Wow. I too am so blessed by Plexus in my life… and I was wondering… if the day will ever come when we’ll meet – say at a convention or somewhere. WOULDN’T THAT BE FUN?? Thank you, Bevy! They’re not “Betty Crocker perfect,” but we like them since they’re sugar-free. 🙂 My children LOVE them!